The hospital said it fired the employee because she not only refused the flu vaccine but also sometimes pulled down the facemask so that she could speak clearly. Each year, the federal government receives tens of thousands of reports of vaccine-related illness and injuries. While the Centers for Disease Control and Prevention (CDC) report [f1] that, “the current U.S. vaccine supply is the safest in history,” it is still important to understand that although proven safe and effective, vaccines do not come without risk. What new requirements may be imposed on families opposed to vaccination when children enter school or day care? Parents who choose not to vaccinate the children for religious reasons often encounter resistance from schools and day care facilities. Now the State of Illinois has proposed new rules that would add obstacles for parents seeking to exercise their religious right to refuse vaccinations. 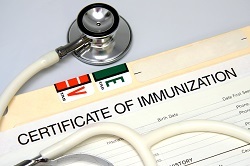 The Illinois Department of Public Health has proposed that parents be required to obtain a “certificate of religious exemption” if they wish to avoid inoculations. The document would certify that a health care provider examined the child and reviewed with the parent all the benefits of getting vaccinated and the health risks to the both the student and community of refusing a vaccine for a communicable disease. 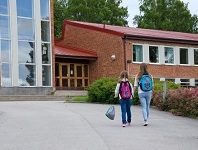 Parents would need to obtain the certificate for students when they enter kindergarten, sixth grade, and ninth grade, as well as when they are enrolling in a new school or child care program. Thousands of individuals in the United States experience vaccine injuries every year. Unfortunately, many of these individuals are unaware of their right to seek financial compensation. In this article, we examine some of the statistics on vaccine injuries and provide real-life examples of what can happen when a vaccine causes someone harm. If you have experienced a vaccine injury, you could be entitled to compensation under the National Vaccine Injury Compensation Program (VICP). 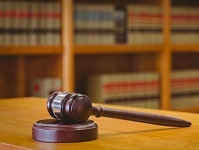 In this article, vaccine attorney Leah Durant answers seven frequently-asked questions about how and when to hire a vaccine attorney. Is an employee who was dismissed for refusing a flu vaccine entitled to unemployment insurance payments? In many workplaces, especially hospitals, workers may be required to receive a vaccine against influenza or the flu as a condition of continued employment. There may be limited exceptions for religious or medical reasons, and some workplaces allow conscientious objectors to wear a mask as an alternative under so-called "vaccine-or-mask" policies. Many, however, insist on a vaccine. When a hospital employee in Kansas gave her employer a brief note from her doctor asking to "defer" her flu shot, the hospital did not accept it as a valid medical excuse. The employee then sent a more detailed explanation, saying that an aunt of hers had passed away two weeks after being vaccinated for the flu and that, after immunizations, her grandson had suffered seizures and permanent brain damage.